First a little background on the original sample taken from Grammy nominated English singer songwriter, Imogen Heap. She is incredibly talented vocally and her music has a very Indie vibe that can be described as a mix of electronic, folk and alternative. Put it this way she plays tons of different instruments and exhibits her stylistic independence by frequently sampling her own music to create organized chaos. Which leads us to more modern Hip Hop...where producers are thankfully sampling creative music from other genres in an attempt to further break down the "traditional" barriers of "Rap" in favor of a more sophisticated sound that is more respectable to people who wouldn't usually listen to what pop culture understands as raw Hip Hop or Rap. *FYI...I'll frequently refer to Rap as a more of a negatively connotative term that describes the realer side of Hip Hop and is characterized by explicit lyrics and simple production. Hip Hop, on the other hand, I will use as a term of endearment to describe an advancing genre of music characterized by innovative individuals that choose to produce real, emotion evoking music characterized by intelligent lyrics that serve to further cast light on the black cloud that some Rap music has cast over what's now accepted as Hip Hop. We clear on that? Dream feat Loon - Krazy Hot! Ryan Leslie feat Loon - My Woman Hott!! Both tracks show his knack for being able to tell a story and give some love to the women while weaving his way through the beat seamlessly. He clearly brings it with intelligent, well conceived verses, something that I can respect because it reflects real talent and the ability to write. Jason Derulo - Blind (prod by JR Rotem) Hot Slow Jam! His vibe is definitely more pop/R&B, but he's clearly got a great voice and commercial appeal with his sound. 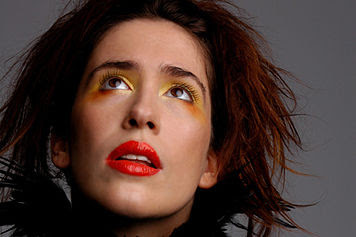 Imogen Heap - Hide and Seek (fast forward to 2:50 if you want to hear the sample) New Link Re-Upped!! Jason Derulo - Whatcha Say (prod by JR Rotem) New Single Hot!! Jason Derulo - Whatcha Say (Acoustic Version) Better Than the Radio Version!!! GWDJ verdict: I will always favor Loon's well crafted verses over Jason Derulo's pop infused, radio friendly R&B ballad. On the other hand, I do appreciate the way JR Rotem added his touch to the beat, there's no getting around his undeniable talent as a producer. 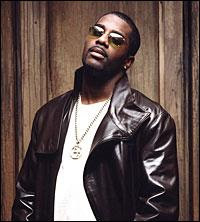 Final vote goes to Loon because as much as I love JR's beat, I really think Loon's first verse on his version is untouchable and gives him the slight edge. 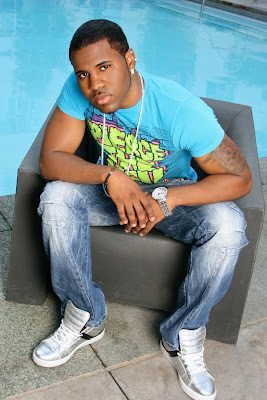 Labels: Imogen Heap, Jason Derulo, JR Rotem, Loon, Ryan Leslie, Who Rocked it Better? I would agree that Loon wins this one. I do like DeRulo's beat, but there is little if any resemblance to the sample of Imogen Heap's "Hide and Seek." I really like the Heap song so I definitely like the fact that Loon samples it more in his song. i don't know how this could even be a question! well, obviously Imogen did, since she wrote it. like, come on. no competition. Imogen, hands down. Definitely the coolest version/most original! I am partial to Derulo's song because of its cool beat. However, I have to agree that Imogen is the best version and most unique. I definitely agree Imogen is most unique and possibly "better" because she wrote it. But to me the point of sampling is to take something and enhance the quality of it. I feel like Loon does well at this with his lyricism and the fresh beats incorporated. Imogen Heap rocked this song the best, but JR Rotem is an awesome producer so Derulo's version was pretty great too! Loon killed it on the verse-original voice/lyrics- he's got his own style. Derulo had a nice flow on the verse, but should have held off on the auto-tune. Loon takes the cheese. I'd say Derulo's was the best. However, I was very impressed with Loon's version. I like how the beat builds, but I think he lets it die too quickly. I've heard the Imogen and the DeRulo versions before, but not the Loon. I'd have to say that Imogen's is still my fav, but I did like Loon's version better than DeRulo! Derulo's version is better. He's the one who released it and got big off of it. He is a beast. I like artists that can grab a uniqueness about them, so I would say Imogen separates from the rest of pack in this category. Although I do think Loon produces some impressive beats--Good future ahead for that artist too!